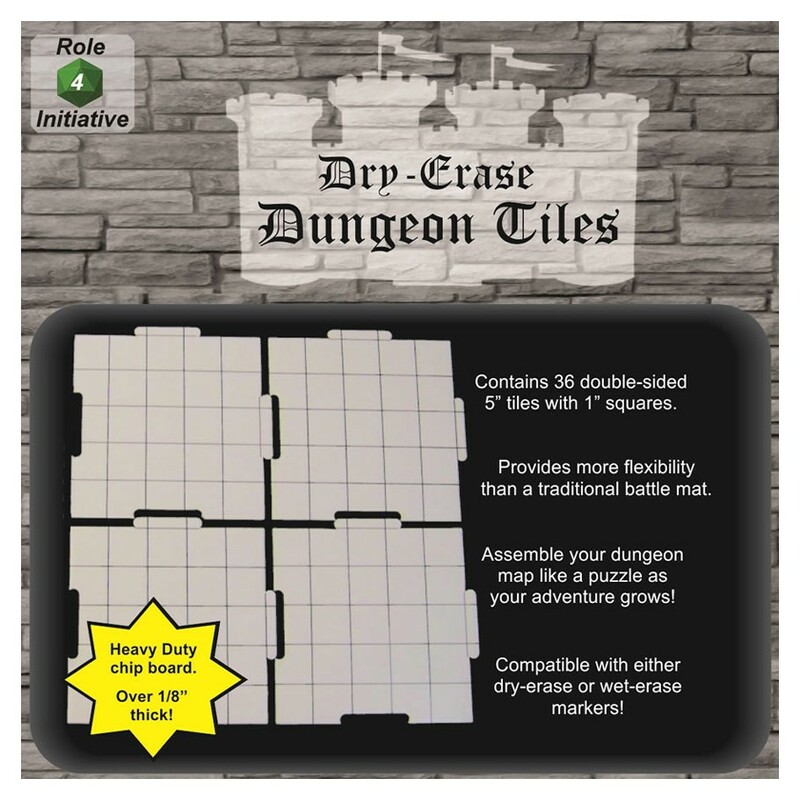 This package of Role 4 Initiative Dungeon Tiles contains thirty six 5-inch tiles that interlock like puzzle pieces. Compatible with both dry-erase and wet-erase markers. More flexible than a traditional battle mat, start your game with a single tile and connect the tiles as the adventurers explore new areas. Never again give away clues as to which way the corridors may lead due to starting placement on a large mat. The interlocking tile modularity allows the Dungeon Master to draw many details of an area at his seat and then simply hand the tile to the nearest player to connect. Take advantage of the double-side feature by pre-drawing map features before the game and only revealing tiles as they are encountered. You can draw one side as it appears naturally, and the other side that shows all the hidden traps and magic features when they are triggered. Also available in a pack of 9 10-inch squares and combo pack of both 5- and 10-inch squares.